ful palanquins. You can set your destination for Royal Rajasthan tour during the next vacation to experience the royal touch of such a rich historical place. Here are some places to visit in Rajasthan. Suryagarh is on the outskirt of Jaisalmer, is a boutique hotel in the glistening oasis of the expansive desert. You will be astonished finding here haveli inside a haveli. 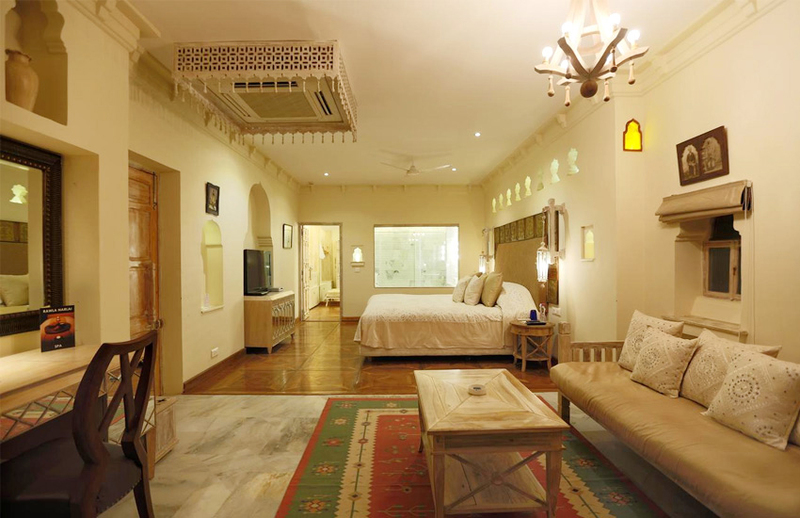 Its traditional preservation, ambience, modern comforts and facilities with full of privacy will charm you. Your trip to this place will give a completely different royal era altogether. The Rambagh Palace was built in the year 1835, used by the guests of the royal family for haunting purpose and later on, Maharaja Sawai Man Singh II lived here with his wife Maharani Gayatri Devi. The opulent structure of the palace will mesmerize you. Now one of the best luxury hotels resorts in Rajasthan, the Rambagh Palace is under the patronage of Taj group. They are maintaining this luxury hotel carefully and restored with perfection. 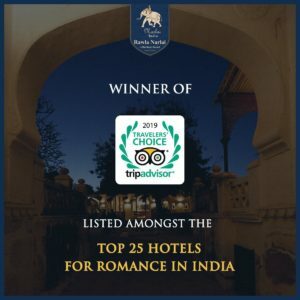 One of the best heritage hotels in Rajasthan, V Resorts Jhalamand Garh, a mesmerizing heritage building is situated within the periphery of the pink city Jodhpur. Out of many other hotels in Jodhpur, you will enjoy here an unparalleled hospitality of the famous Mewar Kingdom that delivers a bespoken impression to the guests. The guests in the haveli are welcomed with worm and typical Rajput customs that make you feel a touch of an extended family. The most nostalgic heritage hotel, in the lap of the famous Aravalli Hills, is only 6 km from Desuri and situated in Narlai. Your holiday’s destination here will pamper you to stay more in its luxurious rooms and enthral with its legendary hospitality and delicious food and beverages. Indian Railway offers a 7 nights 8 days tour for different royal destinations of Rajasthan through a luxury train named Royal Rajasthan on Wheels that beyond your imagination. Through this train, you can visit many royal places in Rajasthan such as Jodhpur, Udaipur, Chittorgarh Fort, Ranthambhore National Park, Hawa Mahal, Moti Mahal, Sheesh Mahal, and Jag Niwas.